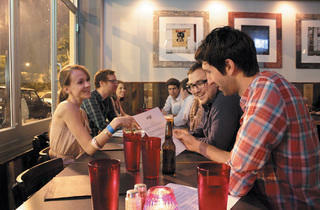 Let other bars emulate the experience of drinking in Belgium; Northdown has rolled into town to evoke the Midwest. It may not seem this way from the onset—the place doesn’t lookparticularly Midwestern (it’s generically, pleasantly cozy), and the menu, with its housemade pickles and Growing Power vegetables, suggests not Midwesterness but trendiness. But the heartland is found in the details: the Wisconsin beef in the burger. The Midwestern cheeses that come with the bread. The fact that it’s perfectly normal for you to sit here, drink from the always-evolving craft beer list and eat nothing more than some mashed potatoes with gravy. And the pies. A chicken pot pie with a biscuit crust is nothing you’ll go crazy for, but the cream pies, topped with unsweetened whipped cream and sporting thick, crumbly graham-cracker crusts, are the stuff of Midwestern fantasies. One slice is worth a night at Northdown. The fact that you can precede it with pork fries and follow it with pinball is just a bonus. 3244 N Lincoln Ave (773-697-7578). El stop: Brown to Paulina. Bus: 9, 77. Northdown is a Chicago comfort food mecca. The place has a menu perfect for hangover cure and a beer menu to wash it away with a little hair of the dog as well. They have an ever changing beer menu and food that always manages to hit the spot–comforting and tasty. 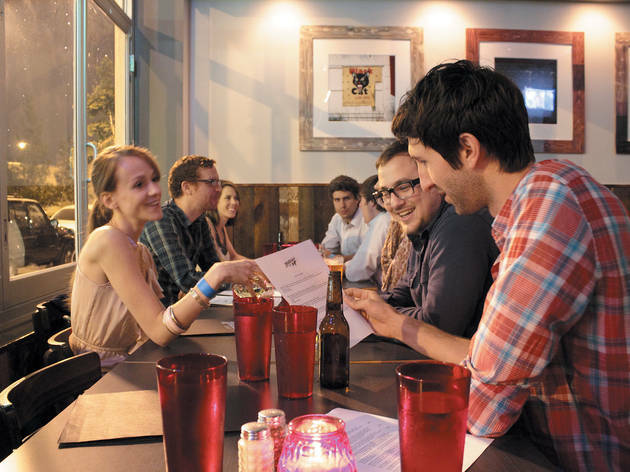 It's easy to head over to have a beer or three, or stop by for dinner. Northdown is my go to spot when I'm nursing a bit of a hangover, Their menu changes a bit from time to time but I have never been disappointed, weather its their gooie mac and cheese or their fantastic fries, if you're looking for great food check out Northdown!